The best part about concrete driveways is that they need very little maintenance. But, that doesn’t mean they don’t deserve a little bit of love every now and then. If you take care of your driveway, it will last you a lifetime and look exactly as it did the day it was poured. The following tips will give you an idea of what your driveway needs to look its best, especially if your driveway has decorative finish such as stamping or stenciling. Sealer is your concrete driveway’s best friend; it protects and helps maintain its original look. Weather conditions and vehicle traffic will have a say on how often you should seal your driveway, but as a general rule we recommend you do it every 3 years or so. If you have a decorative finish that you want to maintain, you should probably aim for a reseal every two years. Of course, if you notice the finish is starting to deteriorate, that’s a good sign that your driveway is asking you for a reseal. 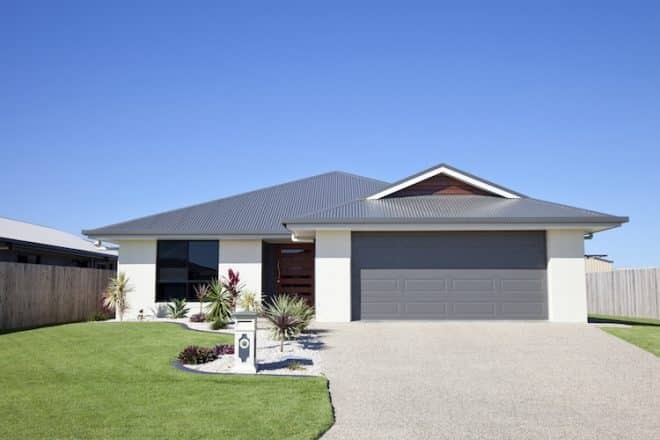 We can recommend the best types of sealers and even provide them for you at an unbeatable price – just contact our expert Melbourne concreters. This probably goes without saying, but the way your concrete driveway looks will have a lot to do with how committed you are to keeping it clean. A brand new driveway can look old in just a matter of months if you allow dirt and grime to build up. You should give your driveway a pressure clean every 6 months or as often as you feel it needs it. You should work to get rid of oil, gas or grease stains immediately; the longer they stay there, the further into the they will seep. The best way to get rid of these stains is with some warm water and a thick-bristled broom. If you don notice any discolouration, a good spray with a pressure cleaner should get rid of it. If you got a brand new Jarrah decking, you probably wouldn’t drag chairs across it, and if you got a brand new mahogany table you would probably use placemats and coasters for all of your meals. Concrete is tough but you still have to be careful with it if you want it to look good. Don’t use sharp rakes to get rid of leaves or you’ll scratch the surface, and don’t use any harsh chemicals or acids to clean it; all it needs is a sharp blast of water. This seems obvious but lots of people fail to follow this simple rule. Concrete starts out as a liquid and it is only strong once it has had time to set and cure. If you walk or drive on it before it’s ready, you could ruin it forever. As a rule of thumb, don’t drive on your new concrete driveway for 7 days and don’t allow any heavy traffic on to it for 30 days. Unless you’ve made a special request, a driveway for your home will not have been designed to handle heavy-vehicles. Only allow normal cars onto it or you risk damaging its structural integrity. If you’re doing any other construction work around your home make sure you tell the tradesmen to keep their heavy trucks off the driveway and the same goes for the garbage men. If you love your concrete driveway, you’ll be very selective about who you let use it. If you engage with an expert contractor like Everlast Services, we’ll take care of this bit for you. But, if you want to pour your concrete yourself, you need to make sure that the driveway is set up with appropriate drainage so that water never settles on it for too long. Water can undermine the slab and allow cracks to form. If you leave bins or pot plants in one place it’s natural that it will have an affect on the appearance of your concrete, so if you want to avoid having little dark circles all over your concrete, it’s a good idea to engage in some regular re-arranging. If you follow these easy steps your concrete driveway will give you years of loyal service and look fantastic the entire time. The team at Everlast Services will be able to give you even more tips on how to maintain the appearance of your concrete and ensure it stays strong and crack free. We’re the driveway experts so we know how to pour a good driveway and how to recommend the products and techniques that will mean you’ll never have to see us again.